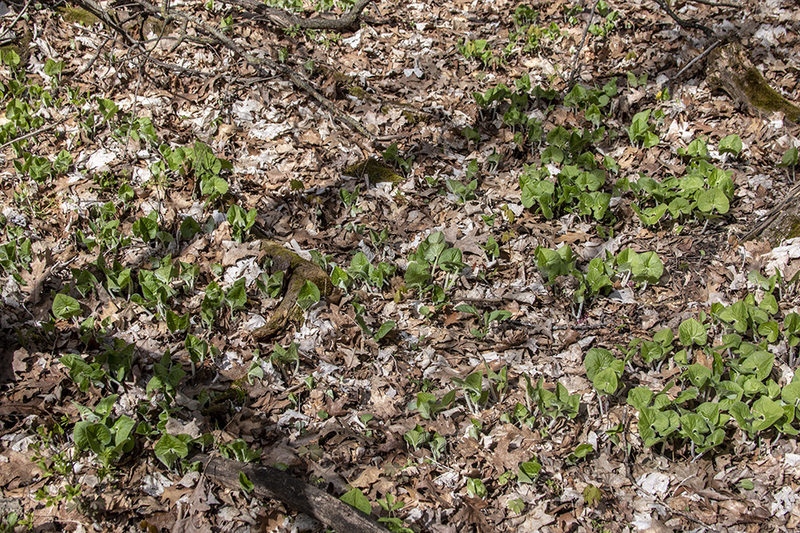 Understory of deciduous forests. Partial sun or full shade. 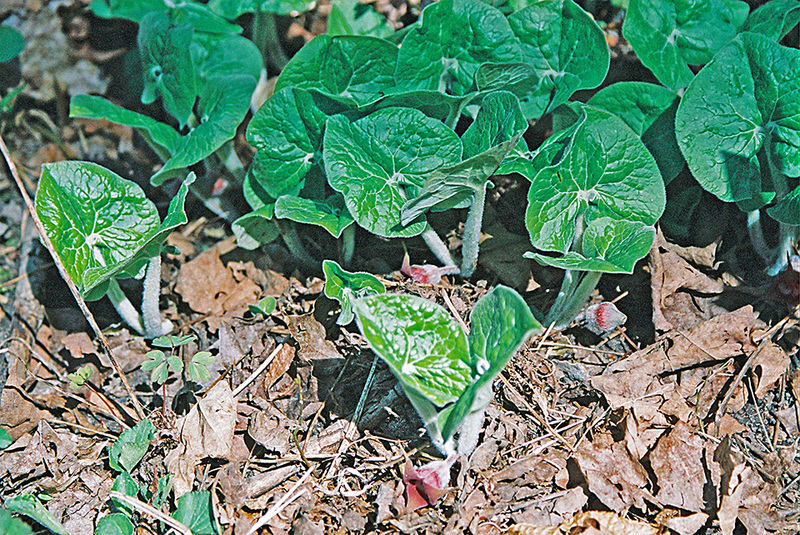 This is a 2″ to 12″ tall, erect, perennial forb rising from shallow, horizontal rhizomes. It is usually found in colonies. 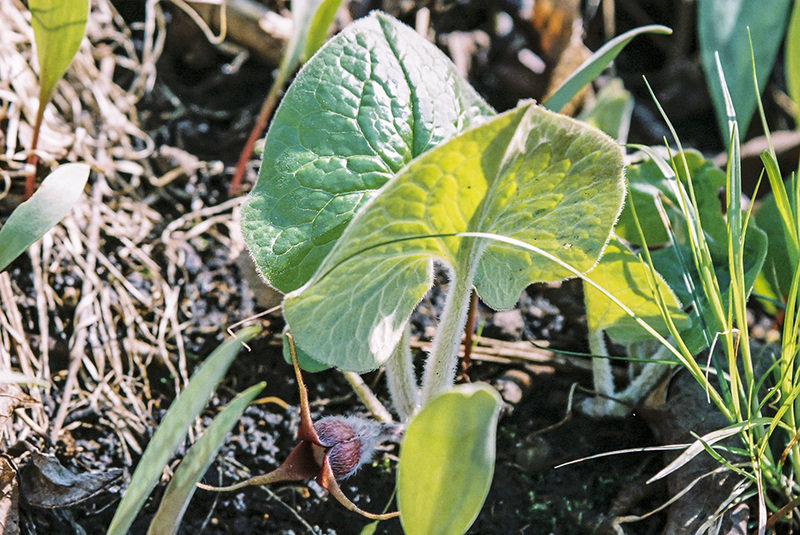 A short stem branches at the ground level into two thick, densely hairy, 2¼″ to 8″ long leaf stalks. 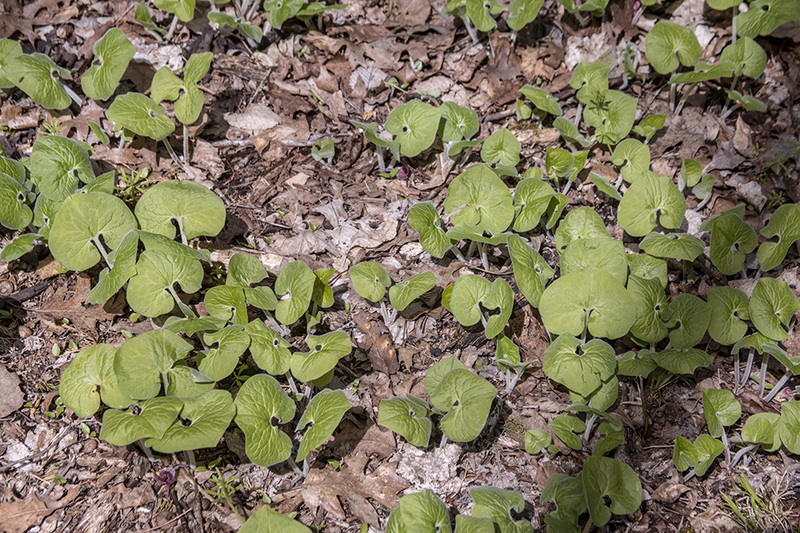 The leaves are basal, bright green, slightly hairy, and shiny on the upper surface. They are kidney-shaped to heart-shaped, deeply indented at the base, 1½″ to 3″ long and 3″ to 5½″ wide. The blade is irregularly curved, wavy, or crinkled, making it appear distinctly 3-dimensional. A single ¾″ to 1½″ wide flower rises from the leaf axil on a densely-hairy, ½″ to 1¼″ flower stalk. 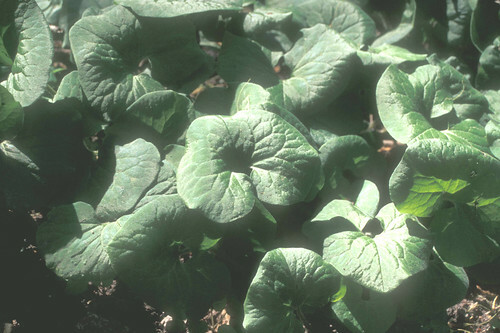 It lies close to the ground and is often hidden by the leaves. 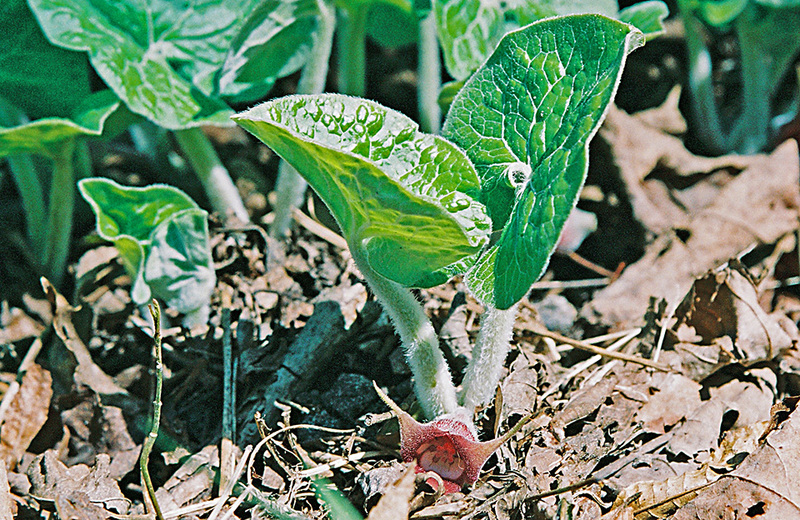 The sepals are reddish brown with a whitish center. They are fused for two-thirds of their length into a bell-shaped tube, which divides at the top into three lobes. The lobes are bent backward. Beyond their middle the lobes curve upwards and narrow gradually to the tip, with the margins rolled backward to the underside. The rolled tips are from a little less than ¼″ to ¾″ long. 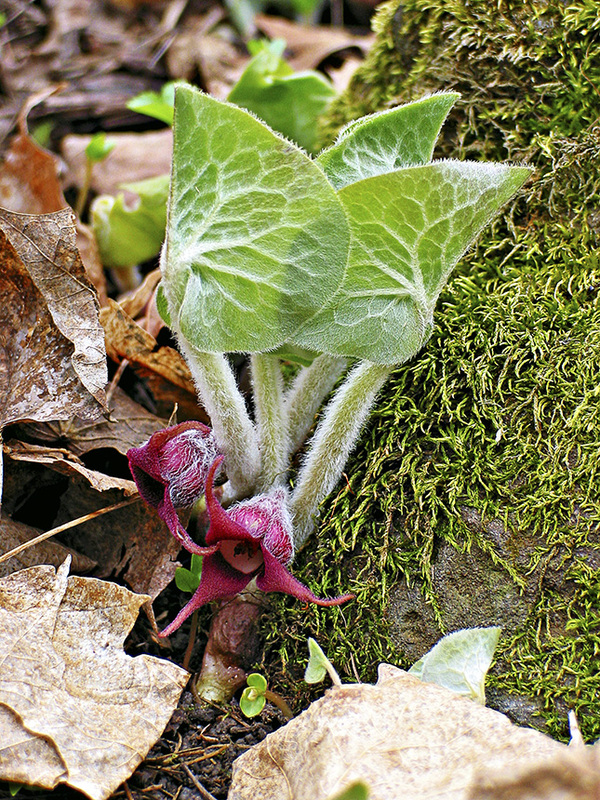 Wild ginger plant identification. Another cool wild edible with all kinds of reported uses from food to medicine. 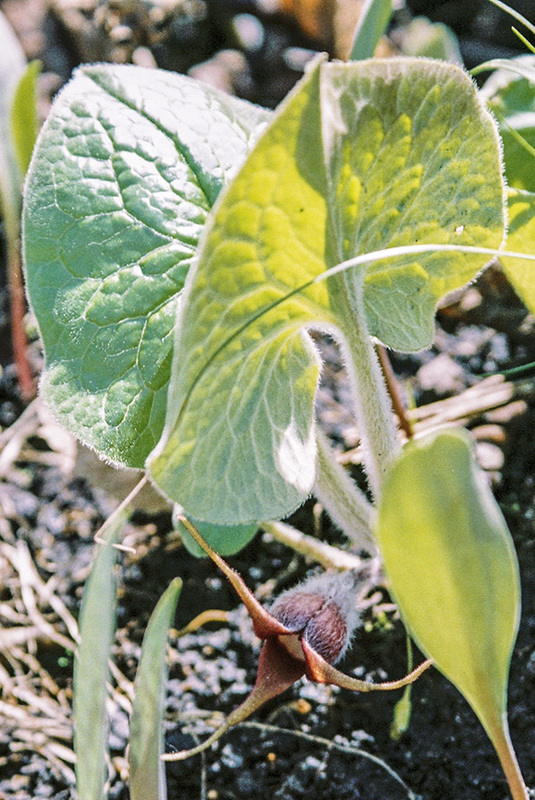 Wild ginger does carry some precautions on edibility so please do your own research before consuming anything, wild or otherwise. 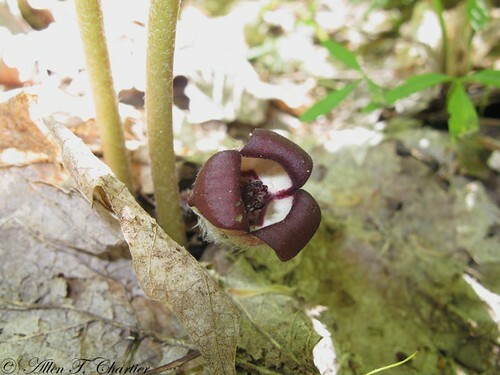 Asarum caudatum and Asarum canadense are the botanical names of wild ginger, it is not truly ginger, but it sure smells like ginger.